Exhibition of the FH Dortmund at the Voies Off Festival during the Rencontres d’Arles. Photographic Studies is a series of exhibitions from the MA photographic studies program at the University of Applied Sciences and Arts in Dortmund, organized by students and teachers and accompanied by the masterzine, a publication that documents the exhibitions and presented works. 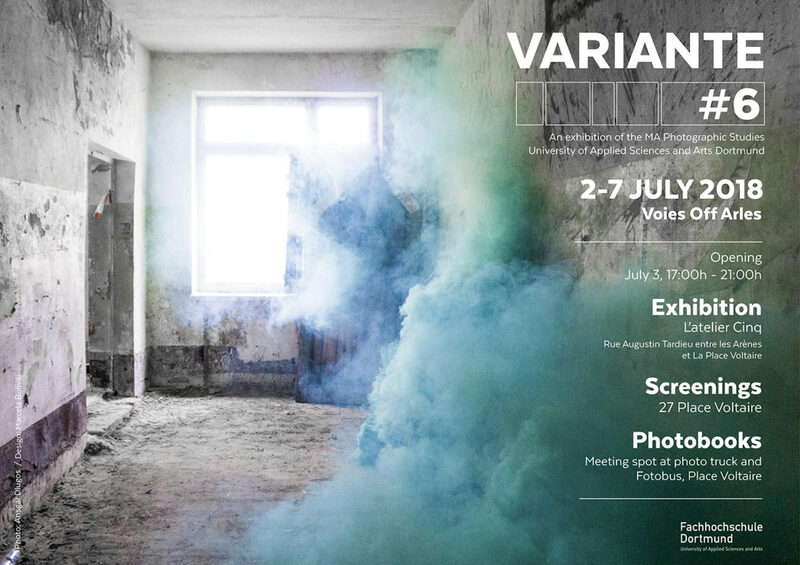 In Arles 2018 the exhibition VARIANTE 6 is spread over several spaces around Place Voltaire and will showcase a wide range of photographic genres. In photobooks, screenings and exhibition prints the students’ works show a strong focus on challenging the medium. Variante #6 is supported by the Fotobus Society, a cultural and academic project serving all students of photography. The Fotobus Society owns and operates a mid-sized 34 seater bus and offers – free of charge – excursions and research expeditions to regional, national and international destinations.